Yahoo might ditch its core web business, including Yahoo Mail and its news sites, if the company's board has its way. The firm's board is mulling a break-up of the business, which has failed to turn around under the three-year tenure of CEO Marissa Mayer. According to the Wall Street Journal, the board is considering whether to spin off Yahoo's investment in Chinese e-commerce firm Alibaba and sell off its waning internet business. Yahoo's stake in Alibaba is now worth more than $30bn (£20bn), according to the newspaper. The company is not commenting on the reports. Marissa Mayer faces growing pressure to step down from the top job, as her big bets have failed to pay off. Mayer bet heavily on mobile, video, native and social media - a strategy she calls 'mavens' - but revenue couped from these new channels hasn't made up for the decline in desktop, as evidenced by the firm's most recent results. Under Mayer, Yahoo paid $1.1bn to acquire Tumblr, a move that brought in a new, younger audience but had debatable impact on ad revenues. In the third quarter this year, Yahoo did post a slight year-on-year revenue rise from $1.1bn to $1.2bn, but swung from a $42m profit to $86m loss. At the time, Mayer noted that mavens revenue was up 43% but said the company still had to "sharpen focus" in its core business to return to growth. In fairness to Mayer, it isn't clear who could do better. She is the company's seventh permanent CEO in just ten years, following Tim Koogle, Terry Semel, Jerry Yang, Carol Bartz and Scott Thompson. She was hired as a superstar chief, with a strong technology pedigree at Google as the company's first female engineer. 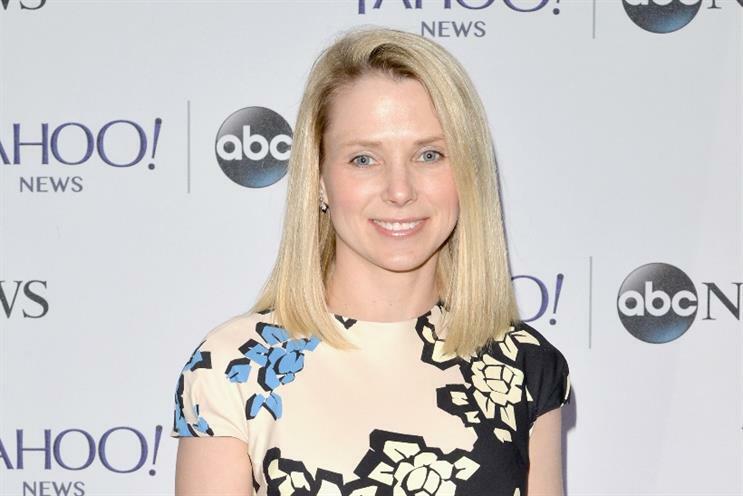 But she has also presided over a host of executive exits from Yahoo and failed to rejuvenate the firm. Analysts have listed the top potential replacements for Mayer, including YouTube chief Susan Wojcicki, AOL CEO Tim Armstrong, Facebook COO Sheryl Sandberg and Huffington Post founder Arianna Huffington.